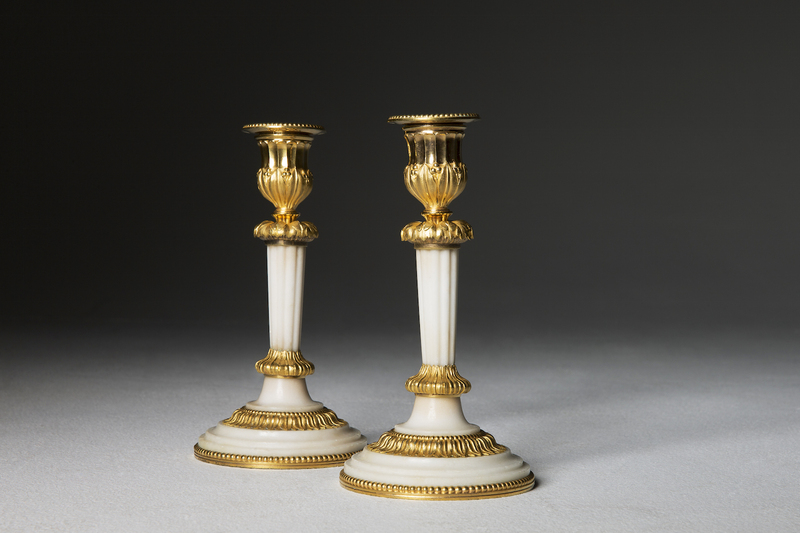 A pair of Louis XVI candlesticks in ormolu and white marble, Paris circa 1775. 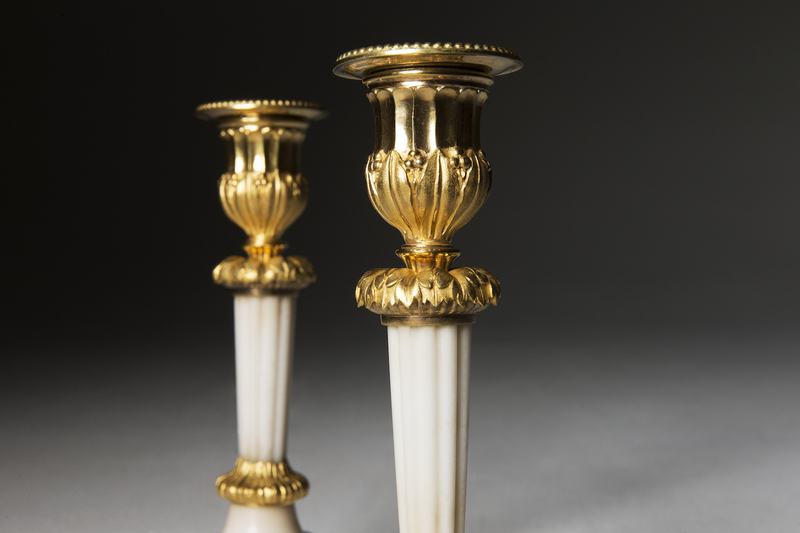 Each with a tapering fluted shaft headed by a fruiting foliate nozzle above a leaf decorated ornament. 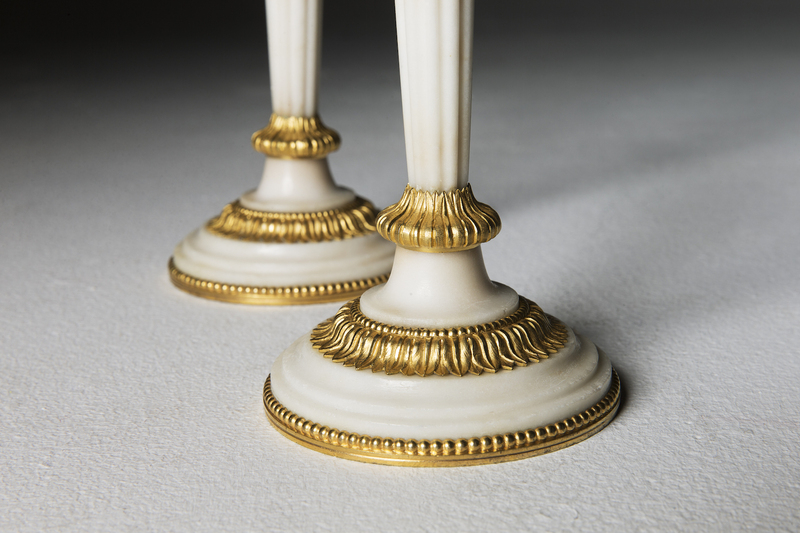 The fluted shaft rises on a leaf moulded socle with a beaded edge.